One of the worst fears business owners face is seeing a complaint or negative customer review posted online. Whether it’s on a review site such as Yelp or Ripoffreport, social media, or even a relatively unknown site that happens to show up near the top of the search results for anyone researching your business, it’s extraordinarily frustrating for entrepreneurs. So when small business resource site RabidOfficeMonkey asked me to help their readers understand how to handle this tricky situation, I was eager to contribute. Here’s a brief summary of some of the key takeaways, but you can read the complete text at their site here. How many times have customer reviews or online feedback influenced your purchasing decision? We all know how important these can be and how much a negative review can impact your business; studies have also been done confirming this. Yet, no matter how much you can try to provide excellent products and services and have no intention of ever disappointing a customer, it’s likely unavoidable that at some point during the life of your business, a customer will still post something unflattering online. The important thing is what you do next. 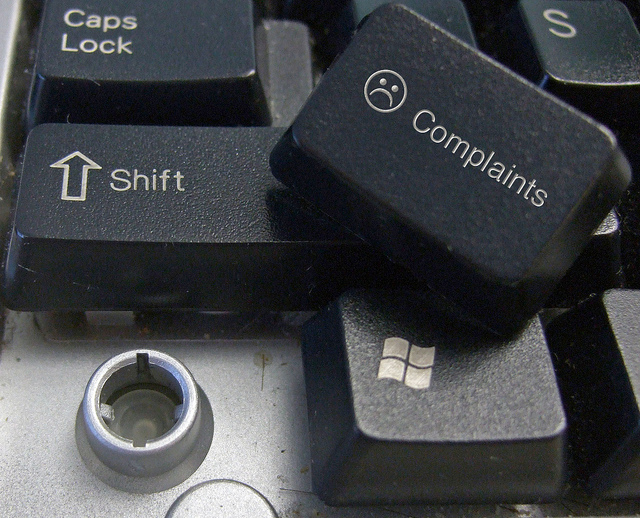 It’s tempting to engage the complainer, especially when it comes to defending your business, employees, and even yourself. Don’t let your emotions get the best of you, because your response is likely to also become public and can further escalate the situation if not handled properly. Alternatively, a great response can be an opportunity to demonstrate your customer service values and attract new customers as a result. Stay Calm: A calm, collected approach will help appease even the toughest critic and make you look good, should your response be made public. Often customers need to vent and want to be heard. Keep your emotions in check and don’t make the situation worse. Acknowledge and Apologize: Express empathy for their situation, even if you don’t believe you are completely responsible. The customer feels that way for a reason. Don’t make the customer feel like you’re blowing them off. Show that you understand and respect their concern. Sincerely apologize and reassure them that you will help rectify it. Explain, Solve, and Appreciate: If you can, explain how and why the customer experienced the issue without placing blame. Accept responsibility for whatever your role was in the situation or for their negative experience in general. Describe clearly the steps you will take to rectify the situation. Exceeding their expectations with your proposed solution can really delight the customer and convert them from angry to thrilled. Show appreciation for bringing the issue to your attention and mention how you might use their feedback to make improvements to your business. This can reinforce that their voice was heard and fosters the relationship with your brand. Often the most vocal critics become the most enthusiastic brand proponents when you solve their problem. So look at online complaints as an opportunity to discover ways to improve your business and showcase your customer service skills. Your business and your mental state will reap the benefits. Your Traffic Isn’t Converting Into Sales – Or leads. If your website isn’t achieving your intended goals, you need to address it or you are wasting money and effort. Try split-testing to find updates that improve your website performance. Your Site Has High Bounce Rates – Customers aren’t finding what they are looking for. Your site may be hard to navigate, but you should also look at the sources of traffic and make sure you’re not advertising in places that don’t drive interested visitors. 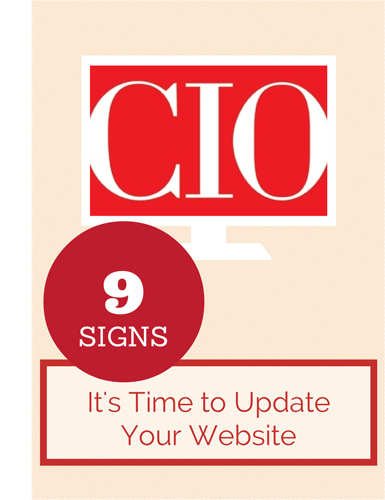 Your Site Takes Forever to Load – People are impatient and no one likes waiting around for pages to appear. Additionally, search engines take page load speed into consideration when ranking your site. It’s Difficult to Add Content or Update Your Site — Without Having to Pay Someone a Lot of Money to Do it for You- Content management systems such as WordPress or various ecommerce platforms should make it easy enough for someone non-technical to make basic updates to your site content if necessary. You shouldn’t need to pay a software engineer to change 3 words on a page. Your Website Isn’t Mobile Friendly – A responsive design allows your website to automatically resize to fit the device the user is on. With the drastic increase in mobile browsing, tablets, and other devices, you’re missing out if your site isn’t mobile friendly. No Way to Opt In/Sign Up to Receive News or Promotions – The vast majority of visitors leave your site without taking the intended action. You did the hard work of getting them there in the first place. Be sure to make every effort to capture their email address so you can continue to engage with them. Your Content is Stale – A store doesn’t carry the same products forever. Keep your products and your content fresh. 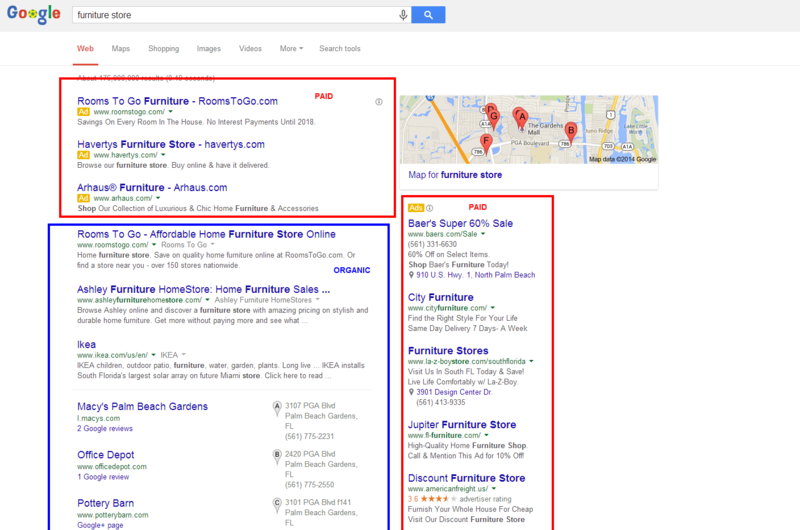 Both your customers and search engines will find you more relevant. No Social Media Links – If you want people talking about your brand and products, include social following and sharing buttons to help get the conversation started. Your Buttons Look Dated – A quick and easy way to improve the overall look and performance of your page. Test more eye-catching colors or include graphical cues that help identify your conversion path to your customers and monitor your analytics to see how it impacts your goal conversion rates. If you’ve got any more signs, be sure to leave a comment below! Do you love getting interrupted? Cold-calls, unsolicited emails, and advertisements, all trying desperately to get your attention while you’re in the middle of something else that you actually care about. I didn’t think so. If you’re using these as your primary marketing tactics, how do you think that makes your target customers feel? As anyone who has spent much time cold calling knows, less than thrilled. How much better are your conversion rates when a visitor found you through a specific organic search or when a lead calls you as a result of a referral? While there is a time and place for this kind of traditional (outbound) marketing where companies focus on finding customers, inbound marketing is focused on getting found by customers, especially in a manner that is timely and contextually relevant. Instead of interrupting people with ads, inbound marketers might create videos or infographics that potential customers want to see. They create their own business blog that people subscribe to and look forward to reading, create whitepapers that establish authority and help capture leads, and guest blog on other relevant sites to generate increased awareness. Instead of cold calling, they create and distribute useful content and tools to engage prospects who ultimately reach out to them for more information. Instead of pushing a message out in hopes of convincing the audience to become interested, inbound marketing is intended to naturally attract highly qualified customers to the business. 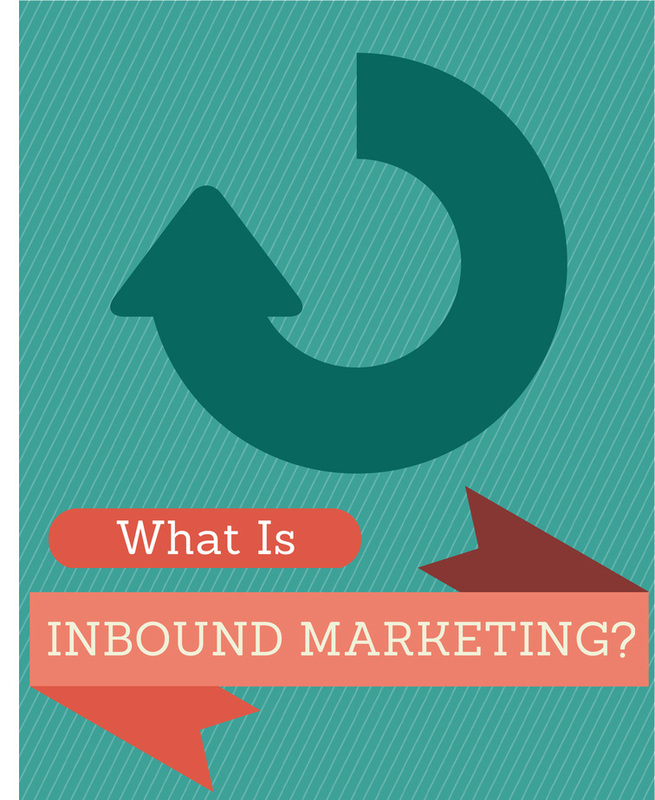 Content – Content creation is at the core of inbound marketing. It is the information or tool that attracts potential customers to your site or your business and feeds your overall marketing strategy. 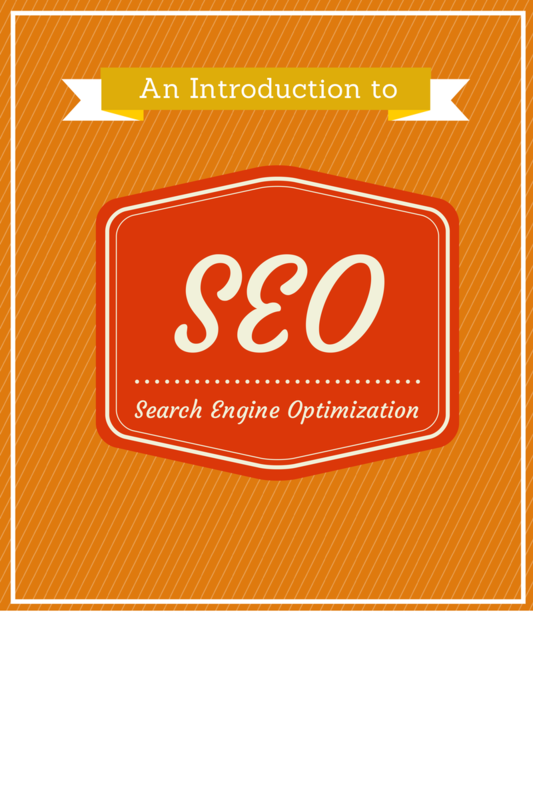 Search Engine Optimization – Search engine optimization makes it easier for potential customers to find your content. It is the practice of building and improving your site and earning inbound links to your site to increase your ranking in search engines, where many of your customers begin their buying process. Social Media – Social media is a great distribution channel and helps amplify your content. It helps reach people outside of your actual website in places where they may already be, and as your content spreads across social media channels, it inherits greater authenticity. In the long run, these inbound tactics can be more cost effective than paying for traditional advertising and offer a longer lifespan. With paid advertising an d outbound marketing, when you stop paying for the ads and making calls, the leads stop coming in. When you invest in content, it lives on the internet indefinitely and can continue to get found and produce results long after it’s initially introduced. You’re also reaching people who are more targeted and receptive to your offer, because they would have likely found you as a result of searching for something relevant to your business or have demonstrated interest in your content. Compelling, thought-leadership content also helps pre-qualify the lead before you make contact by establishing trust and authority. It’s important to note, generating results through inbound marketing is far from quick and easy. If you need immediate traffic or leads, outbound tactics like pay per click can be effective. However, inbound marketing should be an crucial part of your long-term marketing strategy and ultimately can be a very compelling, cost-effective way to grow your business. 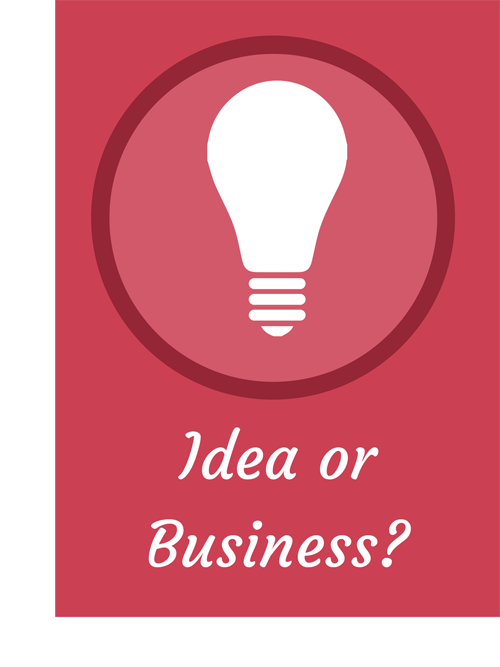 Is Your Big Idea an Actual Business? I recently had the opportunity to write for the Small Businesses Do it Better blog. Host and editor Carissa Dunphy interviews small business owners, entrepreneurs and industry experts, creating a site that offers valuable resources and insight to current and aspiring entrepreneurs. I’m often approached by people who may have an idea that they think could be a big hit on their hands, but want to get an understanding of what it takes to actually create a business around it. There’s a lot more to it than one might expect, and it’s critically important to get some clarity on this before you start investing significant time and resources into your idea. So when Carissa asked me to help answer the question, “Is Your Big Idea an Actual Business?” I was eager to contribute. Is there a defined market? Every adult in America is not a defined market. You sound like you don’t understand your product. Does it solve a problem or fill a need? Understanding product/market fit. Better to find out sooner rather than later if you need to adjust your idea. Is someone willing to pay for it? There’s a big difference between nice to have and need to have. It takes a lot to get someone to open up their wallet. Have you gotten feedback? Keeping your idea a complete secret could mean missing out on valuable insight. Do you know how you will target and attract potential customers? Waiting for your product or company to go viral is not a marketing plan. Really. Are you ready to act? – When it comes down to it, are you prepared to commit the time and resources to really give your business a chance of success? Check it out and find out if you are ready to take your idea to the next level!